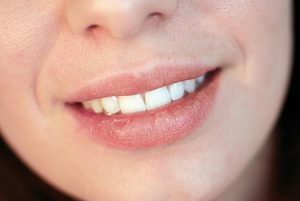 Saliva is important in keeping your mouth healthy and making sure that your teeth are decay-free. A condition called dry mouth, or Xerostomia, happens when the saliva supply in the mouth decreases. The results are minor but can still greatly affect your oral health if untreated. At Ria Family Dental, anything that threatens your oral health is given appropriate attention right away. If you feel like your mouth is drier than usual, come see us. You might have a dry mouth and we can help. Saliva not only helps in the chemical digestion of food. It also helps in the remineralisation process, wherein fluoride and ion in the saliva are coated on the teeth. This makes it harder for bacteria to attack and corrode the enamel. Of course for your saliva to contain these fighting agents, you have to do your part by brushing your teeth after every meal. Saliva neutralises the acid, limits bacterial growth, and washes down food debris. One common side effect of some medications is dry mouth. Medications for depression, antihistamines, high blood pressure, muscle relaxants, decongestants, and even some OTC medications can cause a dry mouth. Dry mouth usually passes once the patient stops taking the medications. Your habits can also affect your oral health. People who smoke and drink alcohol have a higher risk of dry mouth than those who don’t. Ageing brings several medical conditions due to the body getting older. Dry mouth is common among those approaching the golden years. A decrease in the water supply in the body results in system failures including a dry mouth. Methamphetamine also known as “meth mouth” can result in a dry mouth. Marijuana is also a recreational drug that results in a dry mouth. Patients with cancer, HIV, diabetes, and Alzheimer’s disease among others, can also have a dry mouth. Left neglected, dry mouth can increase plaque and bacterial production in the mouth, which then sets off a series of dental problems such as tooth decay and bad breath. At first, the consequences of dry mouth are minor but they can worsen the longer it is left untreated. Any dental problem that compromises your oral health is treated with the appropriate attention right away at Ria Family Dental. Our comprehensive treatments for dry mouth involves a strict oral hygiene program to ensure that it will not happen again.